This was a paper presented at the consultation with Partners and Stakeholders of the Regional Center of Expertise for Education on Sustainable Development, at Xavier University, Cagayan de Oro, Philippines, 25 January 2008. The experience of Apu Palamguwan Center (APC) to sustain education in an indigenous community is important in strengthening the understanding of and promoting opportunities in Education for Sustainable Development. The community seeks to ecologically manage their resources in ways that allow for cultural and economic development. The educational program is central to the cultural use of the landscape and engagement with society. APC is one example, there are many, but in total, the support for culturally sustainable development is very inadequate and needs much greater support that I hope in part would come from this new Center of ESD. What is Apu Palamguwan Cultural Education Center? Apu Palamguwan was an old man who dreamed and other people shared that dream of reading and writing. 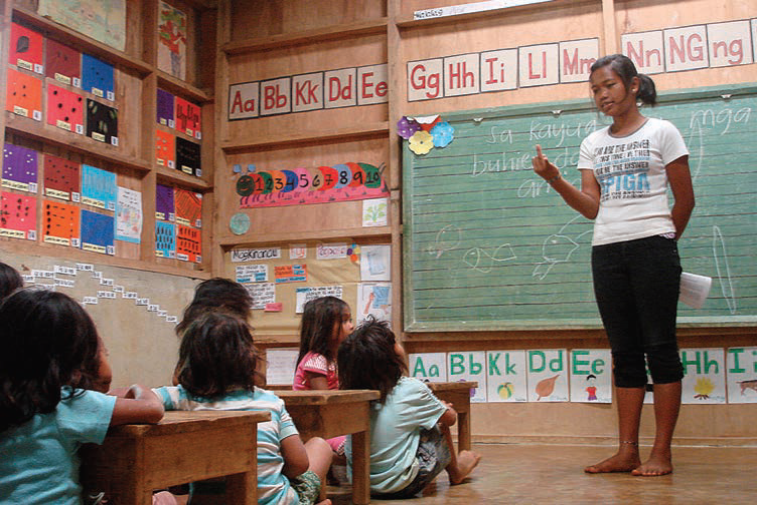 They built in the last 15 years a cultural education center in Sitio Bendum, Barangay Busdi, Upper Pulangi. The center works from the Pulangiyen culture – those who traditionally live along the Pulangi River and marry into neighbouring areas. Amongst themselves, they draw their identity from the river, as others do along the Pantaron Mountain: Adjawon, Umaamnon, Maasamnon. 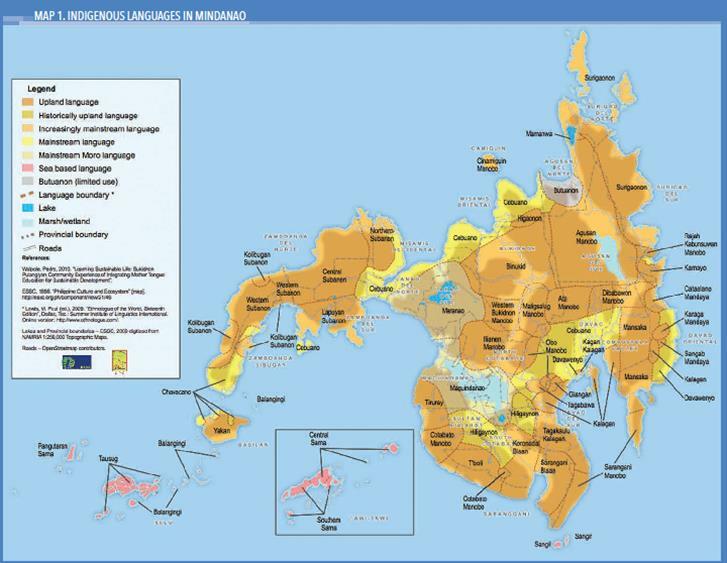 There are on various counts 28 languages and 41 dialects in Mindanao as a whole. The need for culture-based education is being sought by many of these Indigenous Peoples, not as a second class education but as the primary means of strengthening culture and engaging with great equity in society, while also seeking resource rights and other basic needs. The desire for education by the community in Bendum, now the most northeasterly part of Malaybalay City, was without any promise, yet with initiative. 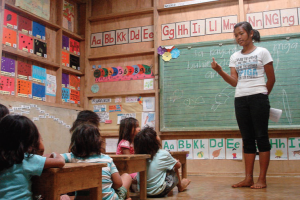 The community creatively built a one-room cogon roofed shelter that became their hope for a teacher to appear. They did not know then that future teachers would come from their community. We would call this in business ‘the power of suggestion,’ but in the provinces, it is wishful. Yet the school did become a reality where people formed a center for education in their own place, in their own time, and in their own language, for their children. Today, these people can laugh and laugh happily, knowing that they were right to try. After seeing that potential for 15 years, the community has volunteered the best people it has to learn the art of teaching, knowing their own children and what they need to learn, so as to ‘more-than-survive’. And with that has grown the trust in the assisting organization who are enriched by living with the community and by helping the community develop their own communication and management competencies. Hope with initiative, commitment with management, and a combined trust has built a center of education that has served adults and children over the years. The center links this marginal community with neighbors and the administrative centers in Malaybalay City. The Department of Education (DepEd) has recognized it as a formal cultural school, with graduates directly accessing high school. Why and how is this community school working? There is nothing but the loosest of traditional supporting ties, occasional marriages and the deaf and demanding lowlands that is little able to respond to upland needs and grant what is rightful recognition and resources. The school is working based on trust, commitment, leadership and communication. Culture has concepts and it is ‘concepts of living’ that language communicates. This is the importance of using mother tongue as the medium of instruction. APC has its own core curriculum in line with the government, but using the mother tongue as a basis to meet the national language. The core classes are presented as ‘Our Language’ and ‘Our Culture,’ with Science, Health and Mathematics. The Day Care and the first three years (Daweg A,B,K) are in Pulangiyen. For the second half of primary education, about a third of the classes are held in the local language, which is the basis of explaining what is difficult. In this way, children can move from one language to another, working effectively with the early conceptual framework of their culture and of lowland cultures integrating with equity. APC is contributing to a greater coherence in community and provincial/regional quality of education. It is community education with purpose and engagement. It is cultural, modern and pragmatic. Two related activities – first, APC is now working with DepEd-Bukidnon on a cultural curriculum for all tribes in Bukidnon and Agusan, with 24 connected schools of Urius College, on their culture-based education programs. Second, a group of Karen leaders from Northern Thailand who value their cultural heritage as important in Thailand came in December to visit the school. DepEd has sent many teachers to visit us and is very supportive of the work. A greater recognition of education in relation to culture is needed to feed genuine national development. Culture-based education has a vision of national incorporation in recognition of cultural inheritance. It needs to spread by collaborative stages, designed at expanding levels of government. There are different opinions regarding the practice of teaching in the mother tongue that are fundamental in transforming Philippine society. The agenda here is to make the use of the mother tongue as a major and strategic arm of education in the Philippines. Along with efforts of the National Commission on Indigenous Peoples (NCIP) and the issuing of Certificate of Ancestral Domain Title (CADT), concept and language are critical in the actualization of sustainability in cultural communities. We will only develop sustainability, in society as a whole, if we have a greater recognition of the importance of culture in the growth of people and the management of resources. The rich diversity of cultures and the ability to respond, integrally working with local people rather than a national blueprint, will certainly bring us closer to the objectives of sustainable development. How does cultural education contribute to Education for Sustainable Development and its realization? Culture is inseparable from nature, from the land and waters we know. For many in urban cultures, it is the familiar streets and building we know, where we go for rest and recreation. The dependency and how we meet our needs is very institutionalized and ‘virtual’ – the people and resources we depend on are not immediately at hand. 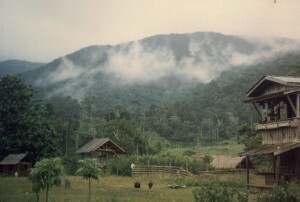 The Pulangiyen of Bendum live close to the land and the forest. For communities on the land, it is essential to know all the people you deal with and be deeply familiar with all aspects of the land and resources we use. Here, people have a relationship with the land – the land and life around us are rooted in people’s lives and values that are seeking engagement and productivity on community terms. Indigenous communities are key areas of cultural integrity that are often thwarted by a lack of peace, economic development, resource security and incorporation, yet they can hold a vision for society and have a basis to change the Philippines. Sustainability will entail working together in a genuine culture of acceptance and accountability. There is the importance of science and also of cultural knowledge, but with this also is the need for recognition and rights of access for sustainable management. Science-wise, experts in the Philippines may know more of what needs to be done and technically even how. 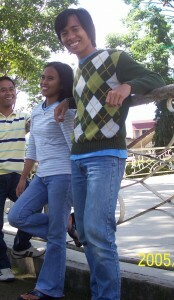 But the cultural knowledge base throughout the Philippines really knows how better to do it locally. They know more precisely where in the landscape the action must be taken, because they know the detail of the landscape and have the experience. They also know they are the “who”, as in “who will do it”, with appropriate assistance. Local cultural ecology and the concepts drawn from living on the land have a very low value in our society but a very high cost when lost and are essential to sustainable development. In our universities and institutions, we may know all the different pieces of information and have all the answers, general and specific. Yet, more than anyone else, the different cultures of Mindanao have an integral knowledge and a conceptual framework that is far superior to national science-at-a-distance. Local culture is more related to the land and waters than any scientific analysis alone, or national policy framework. It is only with the cultural knowledge of the landscape and the de facto workers of the uplands and coastal margins will we get sustainable management that leads to a true human development. The power, the legal rights to the resource, and the access are still controlled by bureaucracies that are so slow, and often, politicization takes over and undermines the ability to work together in the culture. Society can be brought to mediocrity at best, even in working with Indigenous Peoples, if rights and support in resource management are not effectively granted. Today, no sooner do these people begin to get rights that have been theirs ancestrally than mining enters the scene. Processes established for the community’s real participation are undermined and basic services are now being shifted to corporate responsibility while government opts out of its role. This is not what leads to a national recognition of sustainable development in what must increasingly be considered critical social and ecological areas. Where this is being fast tracked, it is not for the economic development of local people, let alone their social development. To manage requires the recognition of rights over resources. Such scientific and cultural knowledge along with societal recognition of indigenous rights over resources then will result in knowledge management and true sharing in sustainable development. Two critical and realistic aspects of the change needed are the requirements of capability and experience in management and the need for economic planning and operations in any sustainable development initiative. Management as organizing, controlling and accounting for the affairs of the rural upland or coastal communities must clearly involve local people and go beyond the present limitations of Free Prior and Informed Consent as generally practiced. Legal and business matters of the uplands cannot be managed from a distance. Communities must be given management rights not limited to Ancestral Development Sustainable Development and Protection Plans (ADSDPPs) and their capacity and capability to manage must be seriously assisted. There has to be major support, and no longer in a regulatory manner, for communities taking on such responsibilities. Basic education up to tertiary education is critical in strengthening local community and local government capacity. Training in whatever profession today requires management skill, and at university level, an even broader sense of responsibility and leadership. This is desperately needed in this region. The number of graduates in agriculture, who cannot find jobs despite the agro-business, and greater need for agroforestry in the region, is shocking. 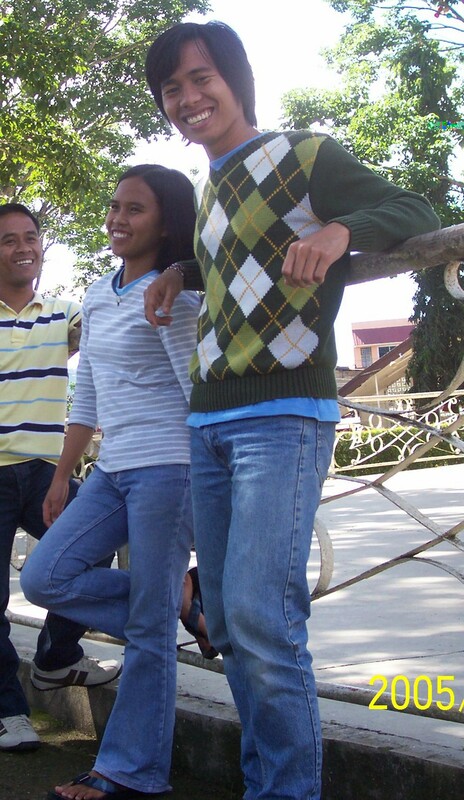 These people are joining the export market after returning to the same college to re-graduate in nursing! 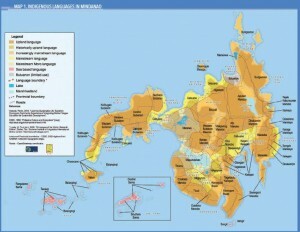 Much more effort needs to be put into knowing the needs of Northern Mindanao. Important in this is developing the management capacity necessary to connect the actions of communities with rights and access to product development and the market. One of the great resources Xavier University has is the Year of Service Program and many other such programs in this region. These volunteers seek to serve with communities and all the more can contribute to strengthening the opportunities for sustainable development. This is a vital source of engagement for such a new Center of Expertise on Education for Sustainable Development. Some students are talking about business plans for the environment, there is much than can be done in Cagayan de Oro City to help build a better environment. Better awareness and use of water resources, shifting from two-stroke engines of motorbikes and exhaust regulation to help air quality, waste recycling, allotment of gardens for intensive vegetable production, playground areas for children, and rehabilitation of the riverbanks are but a few. Students also want to know about Indigenous Peoples. The problem here is that the rights and access of these people to resources are not yet seriously in place on a broad scale. Other sectors must be better regulated and prevented from undermining indigenous communities so that the latter can have the basic security for sustainable development and the education necessary to integrate their knowledge of the rich natural environment, of the agroforestry practices in their culture, and the management and economics that will make this sustainable. This center can contribute a great deal to such efforts. 1. Cultural concepts are essential to the integrity of an indigenous community and so is the use of mother tongue; best provided up to Grade 6, or at least until Grade 3. 2. Stories of successful access to quality basic education are important along with those of sustainable development so that we go beyond awareness. 3. Values of sustainable development and skills that come from a lifestyle that is willing to share in the realities of our fragile environment and greater security of all, rather than the ‘development’ of a few, are essential to every future society. 4. Collaboration with centers of learning that have a sense of commitment and competence is vital, while finding creative engagement with the DepEd, NCIP, NGOs, civil society and the Department of Environment and Natural Resources. 5. Curriculum needs of management capacity, economic development and true leadership must be addressed – this is the critical reorientation needed.